GCSC is a nonprofit on the mission to create a robust STEM (Science, Technology, Engineering and Mathematics) pipeline of talent. This talent pipeline will meet the accelerating demand for STEM jobs in our region. GCSC brings education, community and business partners together to create hands-on, real life, and relevant learning experiences for our students. These authentic experiences are proven to grow student interest in and confidence to pursue STEM careers. 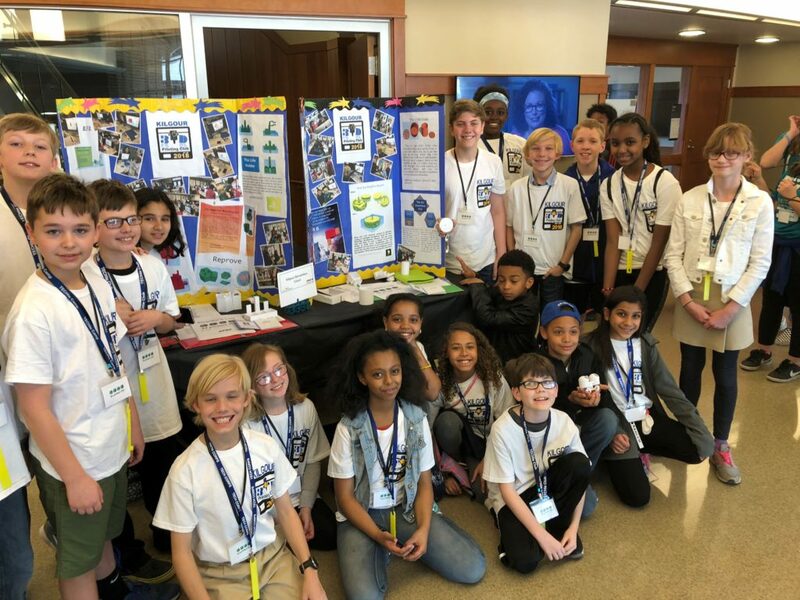 Vision Greater Cincinnati continues its growth as a technologically rich, vibrant community with the most talented STEM workforce in the country that is representative of the region’s population. 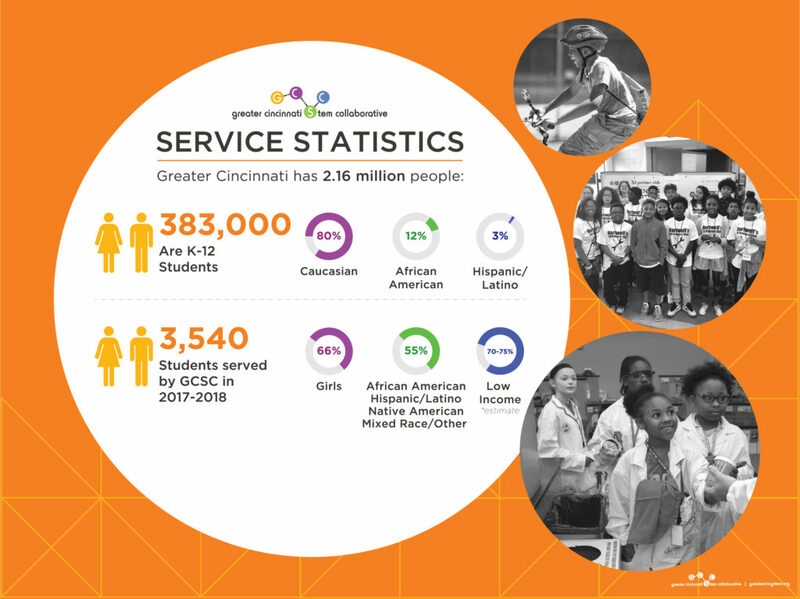 Mission GCSC helps prepare students for their futures and to join Greater Cincinnati’s workforce through connected, robust STEM learning pathways. STEM learning is propelled by business, education, community collaboration and our culture of incubation, acceleration, and inclusion. This is still a rapidly evolving aspect of GCSC; we are learning more and more about this every year. 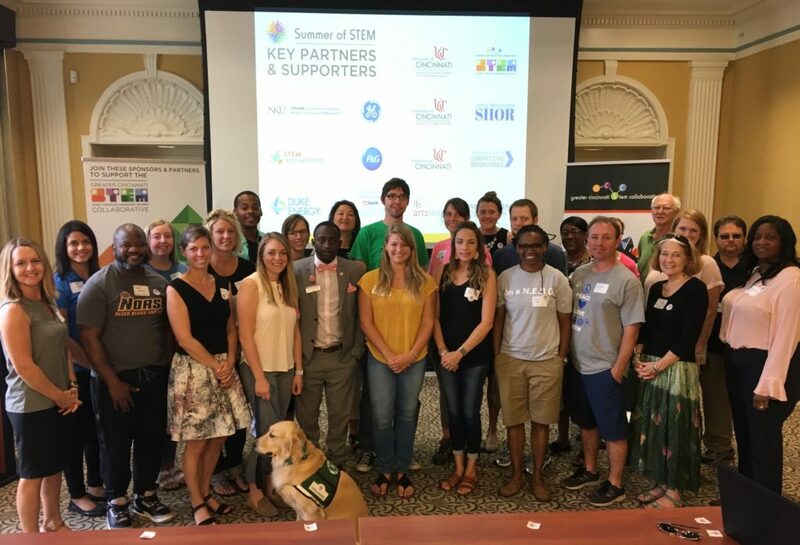 New-to-GCSC, Greater Cincinnati projects usually begin as a grant proposal to a funder that is interested in investing to support K to 12 STEM education and spark STEM career interest. Schools usually get involved by applying for GCSC-funded projects or through existing relationships with GCSC partners. Businesses usually get involved through GCSC and / or proximity to a school or community partner that is running the project. If ANY school, community or business partner, or funder is interested in supporting a new or existing project please contact us at: gcscSTEMed@gmail.com!! As a collaborative, we have numerous members including formal educators from schools in Cincinnati and Northern Kentucky, informal educators from local museums and science programs, and interested business partners. These members are the energy behind making our Greater Cincinnati region a leader in STEM education. Regional experts in business, education and philanthropy advise the GCSC. The GCSC uses a Collaborative Circle organizational model. This is a small, flat organization that focuses on getting the work done and remaining agile to seize opportunities as they present themselves. Depending on the GCSC strategies and priority projects, members flex as needed to support the work.